For something to soothe your more traditional sensibilities, look no further than the Classic Fine Dining Collection when it comes to decorating your dining room and kitchen. This collection blends an antiqued look and feel with symbols and sigils from history, creating a unique fusion that is not only eye-catching but also memorable. This collection is filled not only with unique twists on dinnerware, but also with a variety of cool kitchen accessories that will help you organize, prepare, and craft the meal you want to serve at your next feast or deliver to your family. Butter dishes, condiment spoons, creamer sets, serving bowls, bowl stands, salt and pepper sets, cook book stands, place card holders, tiered stands, and more are all what you can find here. 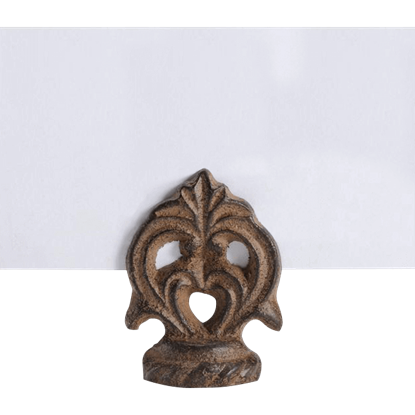 Each piece is elegantly crafted with scroll work designs and finished with antiqued patina, ensuring that no matter what accent you add to your kitchen, it brings with it an aged look and feel that is sure to impress and intrigue. They are also great filler pieces that work well with a variety of other collections and looks. So if you find yourself needing something new for your dining experience or for your kitchen, take some time and see if our Classic Collection is just what you need. No detail is too small to consider when you are preparing your table to impress your guests. 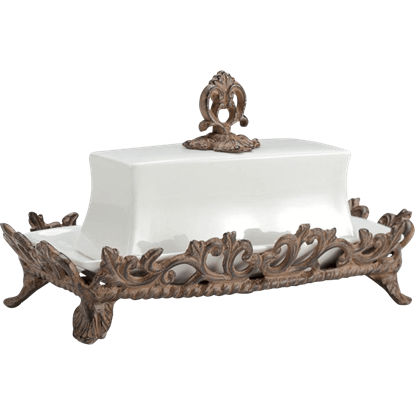 The Classic Butter Dish adds elegance and charm with its ornate design, offering the perfect receptacle for serving a stick of butter. The cheese course adds sophistication to any formal meal, teasing the palate with the tastes of Gouda, Brie, Manchego, Cheddar, and other favorites. The Classic Cheeseboard with Knife helps you serve these flavorful options with style. No matter what dish you are serving, you will likely want to offer condiments so guests can flavor the meal to their specifications. 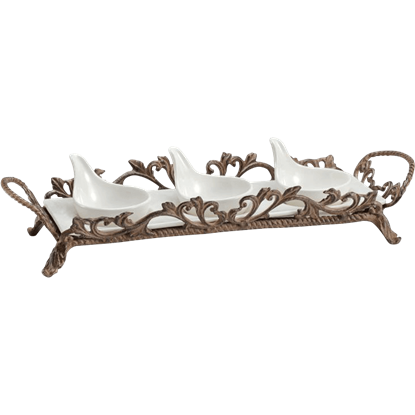 The Classic Condiment Server features three serving bowls that rest on an ornate tray. When cooking and baking for your loved ones, protect your favorite recipe books from the mess with this stand. The Classic Cookbook Holder props up your book for easy reading while keeping it away from the mess of the ingredients. Things can quickly get messy when you are cooking and baking in the kitchen, making paper towels a necessary item! 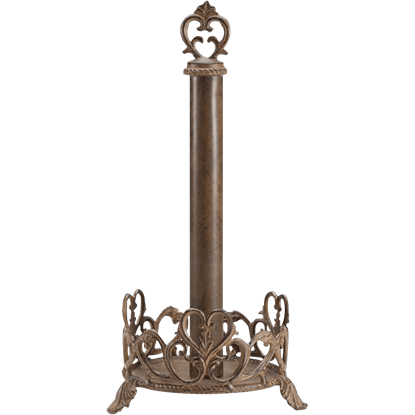 The Classic Heart Paper Towel Holder makes a functional and ornamental addition to your home! Though the original use of napkin rings was to identify the owner of each napkin, napkin rings have become popular table decorations for formal events. 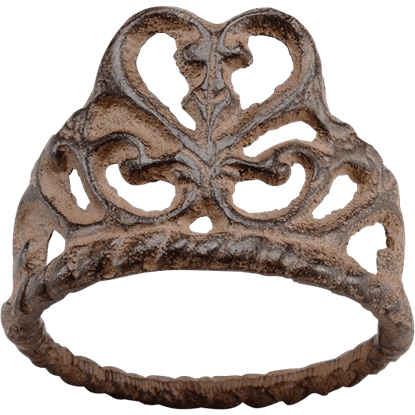 The Classic Napkin Ring features an elegant scrollwork heart design. When you are serving a salad course during your next formal meal, make sure you include these cruets on your table! 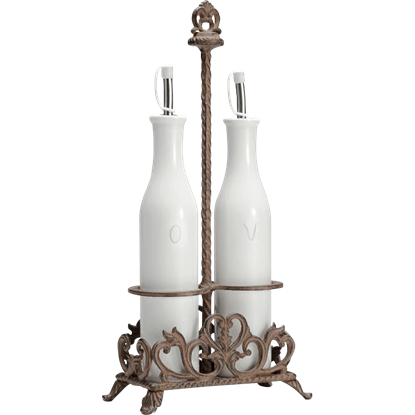 The Classic Oil and Vinegar Bottle Set includes two bottles and a caddy to allow easy passing around the table. 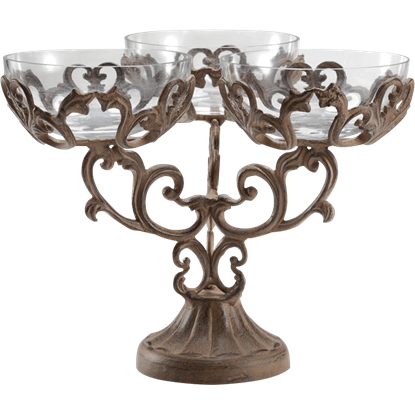 Homemakers who wish to add class and refinement to their decorations will find no better illumination option than this candle holder. 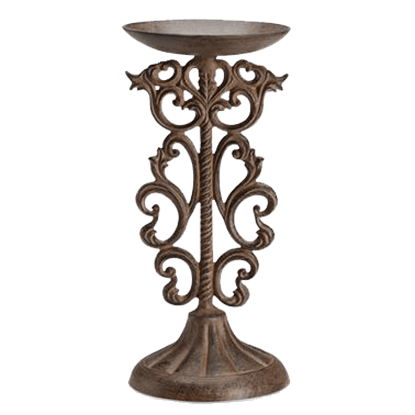 The Classic Pillar Candleholder features elegant scrollwork along its length. 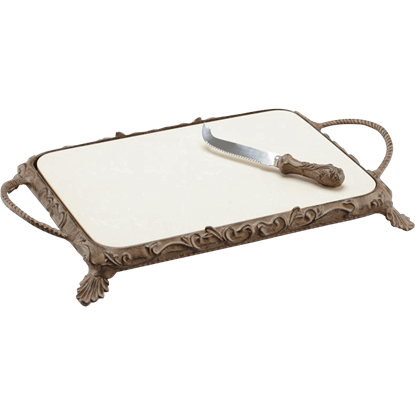 Ensure that each guest can easily find their intended seat with this charming piece! 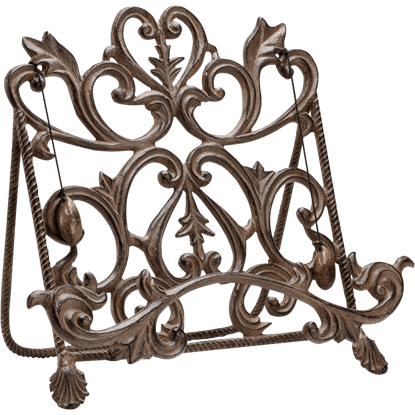 The Classic Placecard Holder supports a card or business card to indicate the seating arrangements around a dinner table. 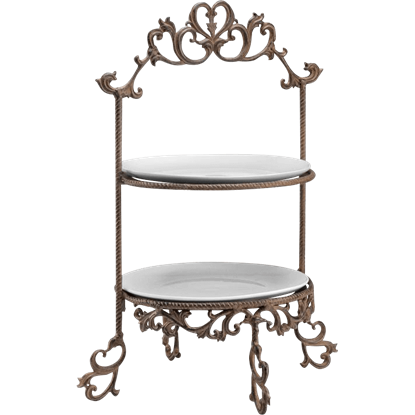 If you are searching for the perfect serving dish for your next formal dinner, consider this tiered serving stand. 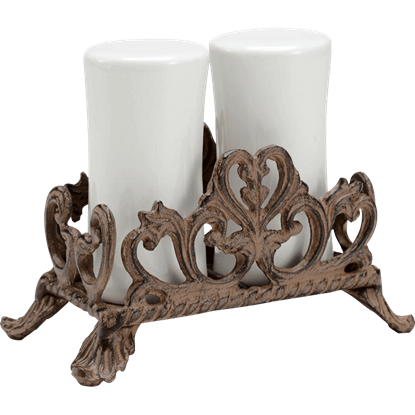 The Classic Plate Stand holds two white ceramic plates that are perfect for holding desserts or appetizers. Of all the condiments available on your table, the most essential seasoning pair is the salt and pepper. The Classic Salt and Pepper Shaker Set provides elegant style in the shakers and holder of these intrinsic meal flavorings.